Welcome to Settegast Park in downtown Houston. All of the athletic facilities are lighted so people can play at night. When visiting any recreation area operated by the City of Houston please respect the rules. 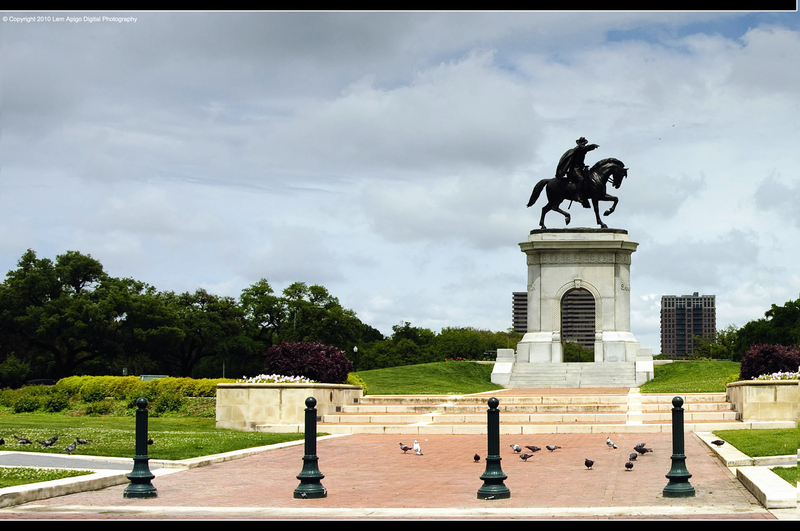 Houston's Hermann Park is one of the city's most popular and beautiful recreation areas. It is named for the land's previous owner Geroge Hermann who gave it to the city in 1914. Many local children flock here to ride the park's train and many people come to see the beautiful Japanese Garden. Mission West Park is an active neighborhood recreation area in Houston, Texas. The volleyball court here is a sand court and the green multipurpose field is great for a game of soccer. Welcome to Pep Mueller Park located in the northern section of Houston, Texas. This park has a basketball court, four ball diamonds, four soccer fields, a playground, and a picnic area. Come out and bring a picnic lunch and have fun! Tom Bass was a man of great public service, raning from the United States Army to being a State Representative. It only makes sense that they named a larger park after such a great man. Tom Bass Regional Park itself is divided into three sections and this article covers section I. The two tennis courts are lighted so people can play at night. Independence Park is an active neighborhood recreation area in Houston. All of the athletic facilities are lighted so people can play after sundown. This was RecPlanet place of the day on June 15, 2017. Welcome to Matzke Park located in Houston, Texas. This park's amenities were made possible by generous donations from numerous local groups including the Triggers Cricket Club and the local garden club. This park has two picnic shelters, a butterfly garden, a rugby field, four soccer fields, a children's playground, and multipurpose trails. Barbara Jordan Park is a small neighborhood park located in Houston, Texas. This park is named after a great woman who fought for the civil rights of African Americans and people with disabilities. This park has a full basketball court, two tennis courts, a playground, and more. This was RecPlanet place of the day on April 13, 2015. Welcome to Challenger Seven Memorial Park in Houston, Texas. This park is named in memory of the seven people who lost their lives in the Shuttle Challenger disaster in 1986. Houston's large El Franco Lee Park is named in honor of a man who did so much for his local community. Most of the ball diamonds are lighted so people can play at night. When visiting any park in Harris County Texas please be respectful of the rules.